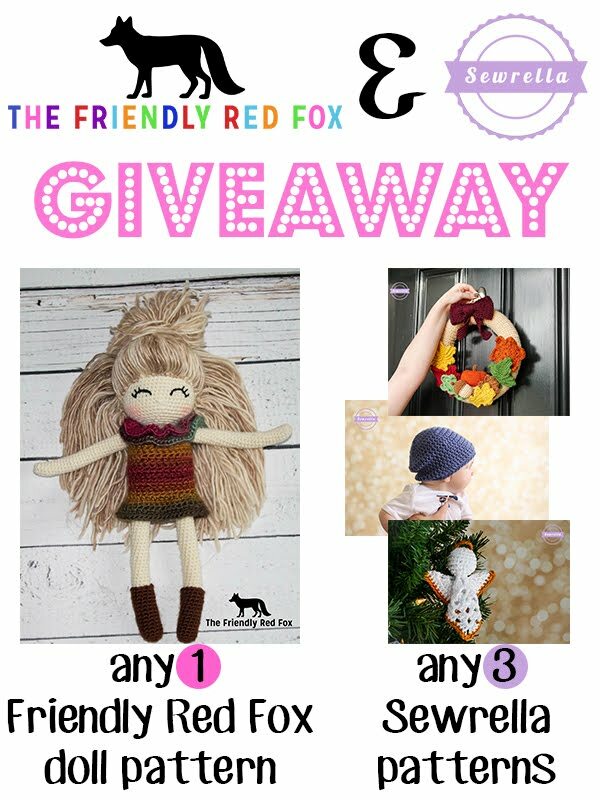 I’ve teamed up with the lovely Kali over at The Friendly Red Fox to bring you a great pattern bundle giveaway. Enter using the Rafflecopter widget below by next Tuesday (10/25/2016) at midnight. You have to visit both my Facebook page and Kali’s Facebook page through the widget, and you’ll have 2 entries in the pool!Easy, huh? Thanks for hanging out with us & good luck!